Life's a beach. Bring it home…. Have you ever wondered what the heck to give your hair stylist, house cleaner or mail carrier as a thank you or holiday gift when you’re not sure of their taste, and don’t want to be too personal, or scripted? Well, my wife has, I have, and friends of mine have all struggled at times with this dilemma. If you too have wrestled with this question then you’ll LOVE these stone candle holders and candles! Everyone who sees and touches them does. They’re natural, ancient, unique, artistic and functional. I’ve also developed a perfect display unit holding it all to maximize sales for retailers. So, contact me for more information and I’ll be glad to help! 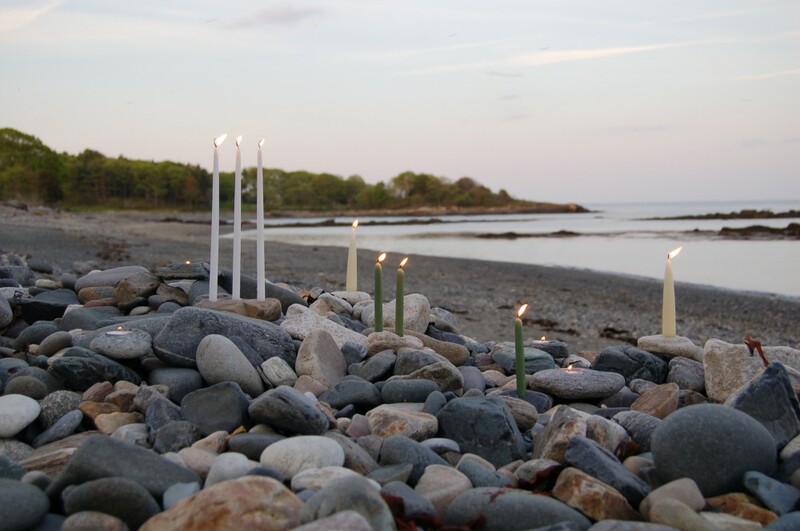 I’m Thom Lager, the founder and principal of this, my latest company, specializing in transforming personally collected, ancient seaside New England stones into beautiful, handcrafted candle holders of all sizes and shapes. Check in here for lots of information about my expanding product line which will bring these simple, unique gifts from the sea to you, wherever you may be. If you’ve been fortunate enough to have visited the Maine and New Hampshire coasts, then you will have a functional memento of the trip you will always treasure. All will benefit from my many, many years of experience in retail and manufacturing in the gift industry, specializing in candles of all kinds. So, stay tuned, and let the journey begin….